Compressed Air vehicles is not just a lot of hot air anymore. The Korean company, Energine Corp., has one upped MDI company (France) that introduced the "C.A.T. car", (CAT stands for Compressed Air Technology), by not only using a compressed air engine. They are blending the technology with the highly successful hybrid electric technology, to produce the Pneumatic Hybrid Electric Vehicle (PHEV). 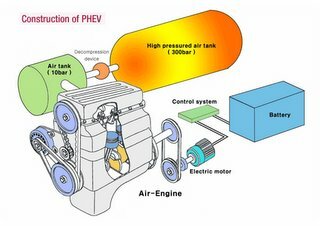 The PHEV uses compressed air with a two cylinder pneumatic engine, in place of gasoline combustion engine, to bring the vehicle up to cruising speed. Once at cruising speed, the electric motor kicks in. I highly recommend taking a look at the Energine Corp. Website to get more details of the technology and the applications it can be used in. I vote for Energine to include mopeds or motorcycles into the mix of applications of this technology. Additionally, you may want to join the world wide discussion forum on Compressed Air Vehicle technology. Stories about technology, like this, debut there before they hit the mainstream news. And many stories about technology like this and other Compressed air energy/transportation get debute'd there, and do not make to the mainstream news. Or it may hit main stream news months or maybe years later. 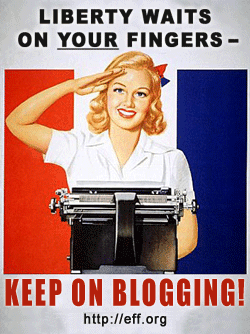 By joining that yahoogroup, you will be in the info loop to get the latest from subscribers around the world who share your interest in this fascinating technology and subject. The power of air is amazing. Engadget relayed a story, which apparently was originally released by slashdot. Move over, Prius. There's a new hybrid in town. 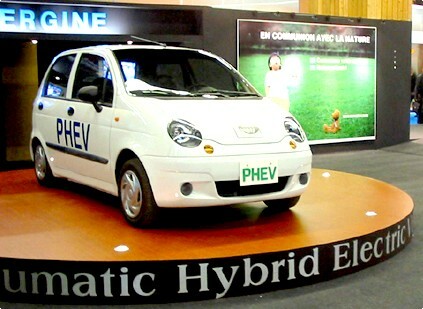 Korean company Energine Corp. has produced a prototype hybrid car that runs on an electric motor and compressed air. The pneumatic-hybrid electric vehicle (PHEV) is designed to run on compressed air until it reaches a cruising speed of about 15 mph, at which point the electric motor kicks in. This isn't the first attempt to produce an air-powered car; France's MDI has been developing a compressed-air car since 2000, and currently expects its cars to be available by 2006 for about Ã€10,000. All of these cars suffer from a problem that has hobbled other electric vehicles: they need to be recharged (MDI's car needs about 6 hours for a full charge). However, they could be effective in environments where range isn't an issue, such as for short commutes. And if they caught on, compressed-air stations could fill them much more quickly. But we're pretty confident that the industry behind the world's filling stations isn't about to let that happen. Réginald de Potesta de Waleffe from Nega Watt(the english translation may be "Mega" watt), spoke at the "Local Energy Action conference in Brussels (Feb. 7-8, 2006) at a round tableabout compressed air as a means of energy storage and for transportation needs. He als spoke specifically about the ever increasing Air traffic and its impacts on the environment and energy demand for petroleum. You can watch the video of his presentation at the conference. There are options to the right for type of video "player", "language", and "Bandwidth" you prefer. You may also see video of many of the other events at the workshop at the link to the conference.